The Indonesia Festival returns for the third time to Moscow from Aug. 2 to 5. 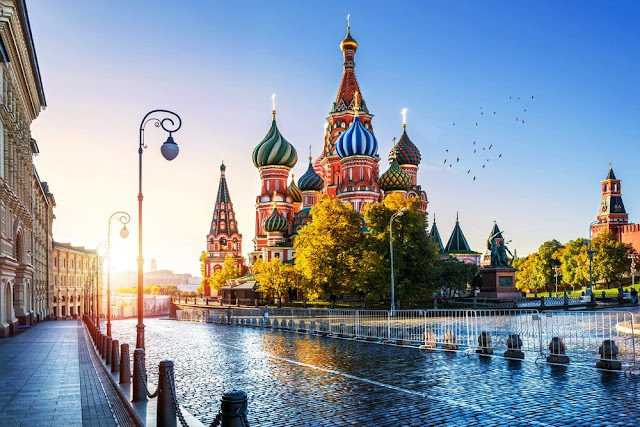 Initiated by the Indonesian Embassy in Moscow, the "Visit Wonderful Indonesia: Explore our Regions"-themed festival takes place at the Krasnaya Presnya Park in the city center. "It is an integrated promotion event of trade, investment, tourism and art and culture as part of Indonesia's economic diplomacy in Russia," said a representative of the Moscow embassy, Enjay Diana, on Monday as reported by Antara. Supported by the Foreign and Tourism ministries as well as various sponsors, the festival features highlighted products, such as coffee, fashion, accessories, palm oil, cuisine and handicrafts in 85 booths. The event will also showcase various art and cultural performances like traditional songs, dances and music on several stages erected at the venue as well as other locations. To further enliven the festival, visitors can also expect to enjoy wayang kulit (leather puppet) and gamelan shows, a fashion show featuring Indonesian designers, a pencak silat (traditional martial arts) display and traditional wedding ceremony, or join dance and traditional music masterclasses, a batik workshop, an Indonesian language class and a cooking class. This year's festival is more special, said Indonesian Ambassador to Russia Wahid Supriyadi, as the venue is larger than before and hosts dedicated pavilions for Indonesian regions. "Hopefully the relationship between Indonesia and Russia can be strengthened and in turn have a positive effect in increased economic, trade, investment and tourism cooperation," he added.